As I mentioned awhile back, Juan and I relocated back to my hometown. Here is Juan’s perspective on our recent move and why El Paso is a great move for us. Urban Hobo is rapidly growing and can’t think of a better place to build this start-up fun company than here! Shawn and I recently relocated to El Paso, TX from Phoenix, AZ (my hometown). For Shawn, the decision (and transition) was an easy one. Shawn was born and raised in El Paso and most of her close friends still live here. Since we’ve been married, we’ve visited at least once a year so I’ve had some exposure to the city and, an idea of what to expect. When we informed every one of our plans, most of our friends and family (not living in El Paso) had the same initial reaction, “Why?” Some were downright scared, “It’s not safe!” “You’ll get shot by the Cartels in Juarez!” If you actually do some research (instead of believing the newspapers and tabloids), you’ll find that El Paso is one of the safest cities in the U.S. After analyzing the data myself, and comparing Phoenix to El Paso, it appears that only by the grace of God did we get out of Phoenix alive without becoming a crime statistic! (ha ha ha) And, El Paso has a VERY strong economy (the overall cost of living is much cheaper than Phoenix). Less crime, stronger economy, lower cost of living and much milder summertime temperatures! All positive reasons to live in El Paso. Shawn is excited to be back and loves her home town. However, being familiar with the city she takes many things for granted. Conversely me being new to the city and region my perspective on things is slightly different. Furthermore, I’m an avid history buff. I’ve read a lot about the history of the area and have even had a chance to visit a number of historic sites within the region. Many of the sites where historic events took place that helped shape the state, the region and the Country, are within the city limits. Many more are a short car ride away. Besides the historically significant aspects, El Paso has so much more to offer. The culture is evident. Unlike many other Western/Southwestern areas, the culture in El Paso is alive! The Spanish, Mexican, and Southwestern influences are all around you. Not in a phony, tourist or commercial way. The city does not try to hide its heritage, rather it embraces it! El Paso is a medium-sized city, but with a small town feel. It is also the largest border city in the world. El Paso is also home to Ft. Bliss (the Army’s second largest installation) drawing people from all over the United States. It is this cultural diversity that gives El Paso an energy that I’ve not found or experienced in other cities in the West/Southwest, Northwest or Pacific Islands. Something else I’ve noticed; the residents are much more polite and friendly. 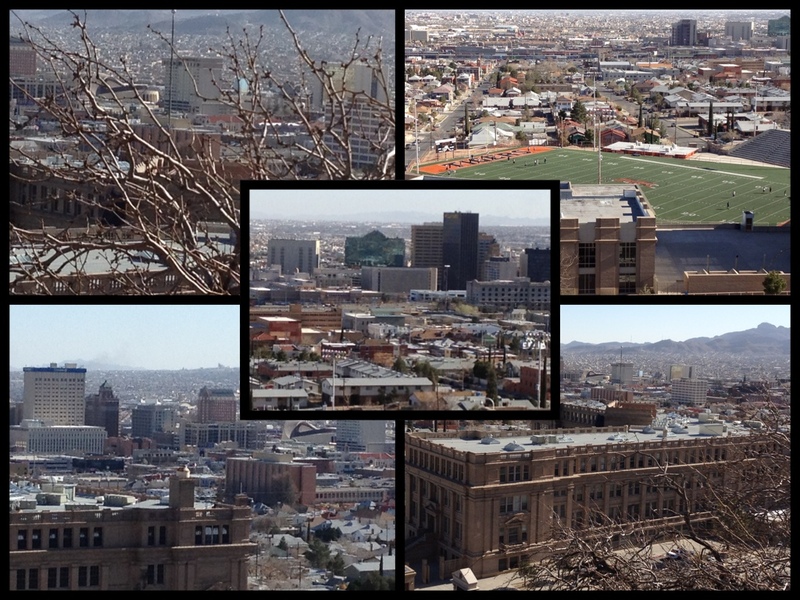 El Paso is the kind of city where quality of life is the number one priority. As I settle in and learn more of my new home, I am finding that El Paso is not just a wonderful place to live; it’s also a wonderful place to explore! One of the things that gives our art work a unique character are the tools we use. These aren’t just any run-of-the-mill hardware store tools. These tools have a history. A soul. Many of them belonged to our parents and grandparents. We don’t simply enjoy using them because of their family history. It goes much deeper than that, because we each grew up using these very same tools. And, each of them has provenance. Each of these tools were used in a professional trade. 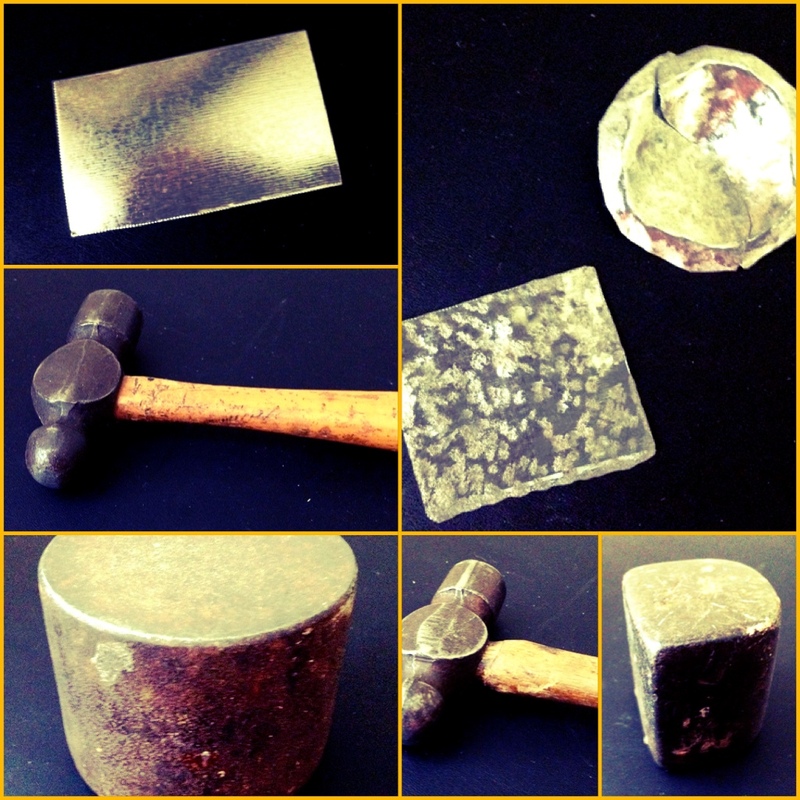 Here are a few examples of the tools we currently employ in our tin work. The two dollies were used by my Grandpa Smith in his Radiator/Body Shop in the 1920’s, ‘30’s and ‘40’s. Back when cars were made from actual steel. If you needed to shape a new body part or re-shape a damaged one, you would place the appropriate dolly behind the piece of steel and pound on the other side with a hammer, until the desired shape was achieved. These dollies are made from solid blocks of steel. After they were retired to my Grandfather’s personal workshop, I used them for many “important” projects when I was a kid. I even used them to pound out a few dents in friend’s cars. One of the ball peen hammers belonged to my Grandpa Swinford. He used it in his carpentry business and I used it when I first learned to hammer nails (it was a lot lighter than a claw hammer and I hit the wood as often as I hit the nail, so it really didn’t matter if it was the right tool or not). The other ball peen hammer belonged to Shawn’s Mother, Phyllis. She used it in her Art Gallery. Shawn spent a lot of time working in the gallery and used it to hang pictures. Each of these tools were originally used professionally, for years, in artful endeavors. Over time they developed scars and wear and characters all their own. These very tools were used by our parents and grandparents to teach us skills and pass along a little bit of their knowledge. We are carrying on that tradition by using them in our own artful endeavors. Used together, they shape our tin work and give each piece a unique appearance and a little bit of history all their own. Juan and I in simplifying or rather right-sizing our lives, have decided to ride our bikes as much as possible AND patron local small business owners. You want to help the economy? 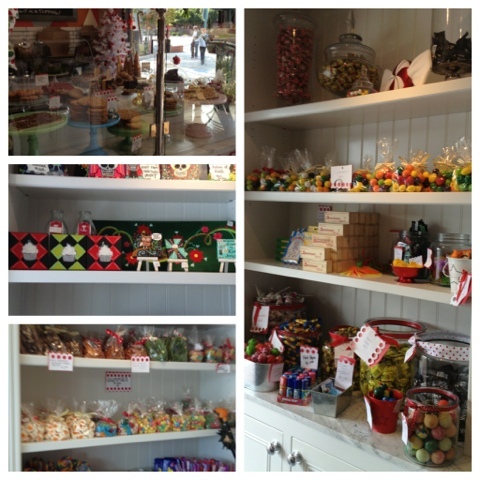 Shop and visit your local neighborhood shops, restaurants and businesses. Small business owners are the key to boosting the economy not always BIG corporate America. A favorite of Juan’s is Churn. It is right next to a wonderful eatery and awesome hangout, Windsor (same owners) and when you walk past the threshold you are walking back in time. Remember, Zots, Pop Rocks, Jumbo Pixie Stix, Taffy and assortment of gum balls and jawbreakers??? Well they have it all. Besides the “old school” candy, they have some awesome artisan ice cream. All you need is one scoop and you’re hooked. Do you remember the old wooden paddle style spoons you used to get as a kid for your ice cream? Well that’s how you eat at Churn. They offer a great selection of cones including my favorite… A pretzel cone. So if you live in the Phoenix metro area or planning to visit, check out Churn (www.churnaz.com)!